My 5-year old daughter is entering first grade in about a month. Her questions about all things in life have become a bit more complex in the past year, but I can usually still come up with a satisfactory answer in short time – but this one left me thinking for a bit. Of course she was probably asking the question because I had just snapped a photo of our garbage can. After returning from 5 days at the University of South Florida in the BioWET (Biological Waste to Energy Technology) class, I will never look at a can of garbage the same again. 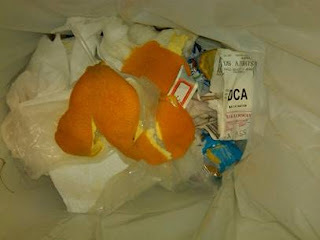 That orange peel at the bottom of the can…would the world be a better place if I put it through the garbage disposal down the drain to the wastewater treatment plant? 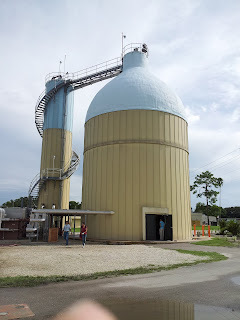 My local wastewater utility anaerobically digests their sludge and uses all of their biogas for process heat, building heat, and a chiller system – seems like a good option, right? I also know that our garbage winds up in a waste-to-energy facility, so at least it’s being incinerated and converted to power which is certainly not the worst case scenario. But where does that process line up with other options for processing my orange peel through biological processes to produce energy? Compared to my daughter, my 4-year old son’s typical line of questioning can generally be described as rapid fire. Liam: Why are you taking a picture of the garbage can? Me: So I can post it to the BioWET blog. Me: Because Dr. Yeh compelled each of us to post our reflections of the class online. Me: Because we all came into our class with different perspectives and we’re trying to capture some of our impressions and findings from the week and share those with others. My daughter can explain to you that the water that goes down the drain winds up in pipes “under the house” and eventually goes under the street and then winds up at the wastewater treatment plant. I’m sure there are a lot of adults that couldn’t get that far if asked about their sanitation system. So her question about garbage being bad maybe isn’t too surprising. She knows what gets recycled and what goes in the garbage. She knows our Christmas tree gets picked up in January and ground into mulch which winds up on our flower beds in the spring. But…is garbage bad? Good question. That depends on a lot of things. What happens to your garbage? Does it go to a landfill? Is that landfill properly designed and operated? Does it capture biogas and is that biogas then used to produce heat or electricity? Or is it flared? Does your garbage go to an incinerator? Does that incinerator capture the heat to produce energy? So many questions. So many nuances. I didn’t walk away from the week at USF with global experts, energetic graduate students, and other researchers with a clear answer, but I don’t think that was the point. What I did walk away with was an impression that we have many options on how to optimize our recovery of energy from organic waste. And the details of those options are being researched by a lot of very smart people. The paradigm shift of thinking of waste not as waste, but as a resource is gradually happening. It starts with forward-thinking engineers and scientists who can harness natural processes to recover resources for an increasingly resource-constrained world. But that shift is implemented when policy-makers, leaders, and the public get behind the concept. There are many technical challenges ahead of us. We will continue to optimize and look for new pathways to energy generation. The good news is that we already know how to get there. But, widespread adoption of this path forward will require non-technical barriers to be overcome. I am optimistic we’ll get there and my grandkids will never ask their mom or dad “is garbage bad?” because by then they’ll know that there really is no waste – only resources waiting to be converted into something useful. It's located in the Ybor City area of Tampa, on 8th Ave between 15th St. and 17th St. Parking is available adjacent to the bar, or on the street. I believe we are working out carpools (I know I can take 3 or 4 people in my car), but there is also a bus line (Route 5) which goes from campus (leaves in front of the Engineering building) and goes straight to Ybor City. Visit the official BioWET website for detailed information on the workshop programme, venue, field trips, and speaker bios, and follow us on Facebook, Twitter or LinkedIn. BioWET stands for Biological Waste to Energy Technologies. This weblog was created to share information about the BioWET conference taking place on July 16-20, 2012 at the University of South Florida in Tampa. This gathering will consist of various speakers from the United States and Europe discussing topics related to waste-to-energy technologies, such as biofuel from biomass and algae, anaerobic membrane reactors, biogas from livestock wastes, and bio-electrochemical systems. 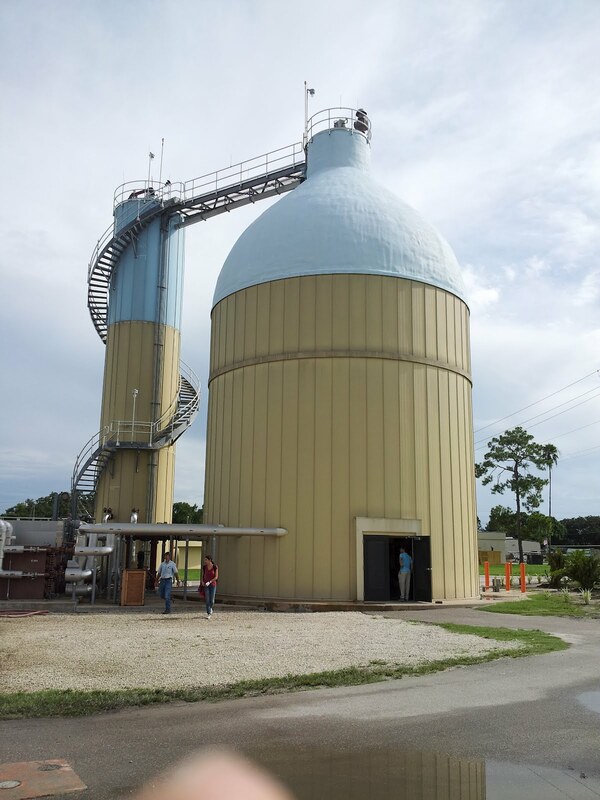 The University of South Florida (USF) is partnering with UNESCO-IHE (Delft, NL) and Institute of Chemical Technology (Prague, CZ) on a EU funded project called Advanced Biological Waste to Energy Technologies (BioWET). Over the next four years, ICT and IHE will be sending faculty and students to USF on extended exchange visits to conduct research on the BioWET topic. Project investigators are Dr. Jan Bartacek and Dr. Pavel Jenicek from ICT, Dr. Piet Lens from IHE, and Dr. Yeh and Dr. Ergas from USF. The BioWET conference is a kick-off summer workshop planned for the week of July 16-20. The workshop is comprised of lectures and field trips. In addition to the BioWET project investigators, we have also invited several other renowned bioenergy experts to speak at the workshop. This will be a great gathering. Other speakers include Dr. Caitlyn Butler from the University of Massachusetts, Dr. George Philippidis from USF Polytechnic, Dr. Debra Reinhart from the National Science Foundation, Dr. Ann C. Wilkie from the University of Florida-Institute of Food and Agicultural Sciences (UF-IFAS) and various student presenters.